It’s about that time of year…time for the cold to start blowing in. Yes, it gets cold here in New Mexico. We’re in the Four Corners region, the Northwest of the state, so we need to prepare for subzero temps and possibly even some snow. At an altitude of nearly 5,500 feet above sea level, it can definitely get chilly. With that being said, Nic and I have literally spent weeks wracking our brains over the best possible way to winter-ready our home. I don’t say winterize, because that typically means you drain it of all its liquids, blow out the lines and put it in storage until the return of the next camping season. Well, that’s not happening. 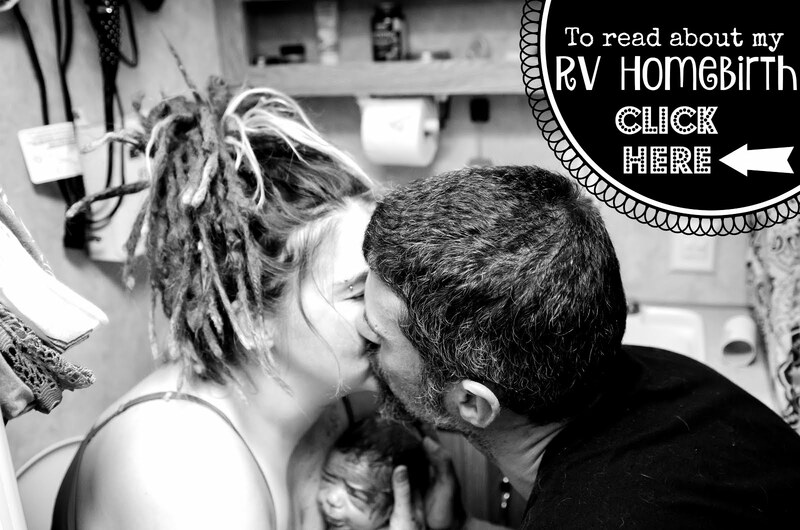 We need to survive…and preferably even thrive, while living in ours during the dreaded “fourth season” that most RV’s aren’t really built to endure. Certainly not ours, with its lack of a sealed underbelly. We decided against using plywood around the entire exterior. Our current site isn’t perfectly level. Our next site most likely won’t be either…and I’m sure it’ll be a different kind of unlevel. That would mean that cutting our plywood to perfectly fit around the exterior of our RV, would leave us with wrong sized pieces of plywood at the next location. That would be a monumental waste of time…and money. Aluminum skirting, although easy on the eyes, would give us the same issues as the plywood. We even entertained the thought of getting straw bales, but that’s not exactly portable…not to mention I was worried it would attract rodents that might nibble through our wiring. Lastly, I had considered purchasing marine vinyl and sewing my own skirting for roughly $300…but we were worried about its weight while towing. No. All of it…so much no. …we just have to put in a decent amount of effort first, before we even get to that point. We purchased the tarps, brought them home and began the process of cutting them in half. The cut sides would get “hemmed” (in a way) via installing our own grommets. One long side would get screwed to the RV, the opposite long side would get screwed to a 12 foot long 2’x4’ board. We would then roll the tarp up around the board, and the board would hold the tarp down to the ground (and hopefully in place in high winds). That’s the hope at least. You don’t necessarily have to keep the underside of your RV warm…you just need a wind block. You want to stop that cold air from whipping through underneath. We will also put some heat tape on our freshwater hose and our black tank, as well as insulate the freshwater line and both tanks. We’re really hoping that will be enough to protect our lines and tanks from freezing. Clamping down the tarp to make sure our cut is perfectly straight…or straight enough at least. He cut it with just a standard box cutter, then he began setting the new grommets. I tried to set one, but I wasn’t even strong enough to hammer the cutter through the 2 layers of tarps. He installed about 5 along the length of the cut side. That’s 5 grommets per 12 edges of 6 tarps (that were cut in 1/2)…for a total of 60. This process is no joke. I couldn’t even install one. We needed a little less than 80 linear feet of tarps to be able to skirt our perimeter. After we had all our tarps re-cut and grommetted, he set to work screwing them into the side of our RV. He used sheet metal screws and washers to hold the grommets in place. After seeing where the grommet would sit, he started the hole, placed the grommet back over it, and then screwed it in. Because we started on our passenger side (if we were towing), we had to put both sets of our stairs in. This left us with a good 2 1/2 foot drop from our front entryway, to the ground. That wasn’t gonna fly…but we had a plan that we would enact the following day. By the end of Saturday, we had more or less “finished” with the long sides of our RV. We’re saving the front and back for another day. That’s gonna take a bit more planning because we have the bumper in the back to work around, and the tongue in the front to deal with. (We DO have a plan though.) That’ll end up being a separate post from this one…Part 2. On Sunday, there was yet another trip to Home Depot to be made. This time, we needed supplies to make stairs. We also needed to pick up the long lengths of 2’x4’s necessary to hold the tarps down. We grabbed a few other “keep the cold out” supplies, too…like items to insulate the windows with (windshield visors that I’ll cut and re-sew to fit). *Side note* On this fine day, the “Power of the Home Depot” really was powerful! It had my girls getting along for once, lol. We headed back home with all our newest goodies. Nic and I immediately set to work building the stairs. The girls played in our yard with their friends…that also happen to be our next-door neighbors. Nic wanted to make the stringers himself, but he hurt his back a little bit the day before, so I forced him to pay the extra $12 and buy the pre-fab ones (those are the zig-zag pieces of wood). He has lots of experience making stairs from back in his hardwood flooring days, but this seriously wasn’t hard at all to build. Anyone could do it. As long as you have a tape measure, a pen, a square (that metal triangle looking thing), the wood, a skill and chop saw, the long wood screws and a drill, you can do it yourself for about $100 (assuming you already have the tools). The plank that turned into the stair treads was originally a 10’x9”x2” plank of pressure treated wood. All of it was pressure treated wood. We didn’t sand or stain them…that’ll be a project for another day. The 4”x4” plank of wood is what he cut to make the beams holding the stairs up. He had such a good helper! She put the screws in their holes after he drilled them. The helper giving the new stairs a try. I swear he took more time leveling them than he took to build them. The girls were SO happy to get to play ALL DAY with their friends, & we were all glad to have them outta our hair for a bit while we worked. While we worked on the stairs, the girls all played in the leaves! I just love Fall so much. I thought the stairs should be photographed with their creator…he was thrilled. After the stairs were finished, we pulled them out and rolled the tarps into place. Here are some end shots of them rolled up around the board. It will keep the tarp weighted down…we hope. Once the tarps and stairs were finished, it was time to begin the underside insulating. Nic ran some heat tape along the length of the black tank pipe that goes from the tanks to the outside levers. After the heat tape was placed, he wrapped the pipe in pipe insulation and taped everything in place. Then, he began the ultra fun process of insulating the tank… after the heat tape was taped on. In retrospect, his advice to you all, is to buy an RV with a sealed underbelly. But something tells me that if you’re reading this, you don’t exactly have that luxury either…so yea. Have fun! I even climbed underneath to take the pics…not a super incredible experience I gotta say. My (pretty much) only contribution to this project (other than being the right-hand Wo-Man), was upholstering the plywood piece that would be removable. It would block the area of the tanks, so that they would be easy access every week when we dump. It was 100% my idea too! Woohoo! Nic cut out a notch with his 4” hole saw that we could put the black hose through. Our hose is 3”. By the end of the day, the girls had all played together for well over 8 hours and we were at a really good stopping point. ..and some time relaxing with our friends. Thanks for reading and you can read about how we finished the skirting on the ends right HERE.